Are you looking at selling your home or turning it into a rental property? There’s no doubt that you’ll want to get the best price possible with the least effort. Well, there are small changes you can make that can significantly improve the value of your home to prospective buyers or renters. Here’s our big tip – use Lighting to your advantage! Improving the lighting around your home can make a massive difference to the look and feel of the home, and to it’s functionality – and you’ll only need to call in a single tradie! Try these 4 simple and easy lighting upgrades (that won’t break the bank)! We’re talking entrances, hallways, staircases, and dining rooms – a pendant light will seriously change the feel of the space and make it more welcoming. You can choose pendant lights to suit the decorative style you have chosen for your home. Use Pinterest and Houzz to research spaces similar to your own and see what lighting might look good in your space. Check that a light can actually be installed in your chosen space. 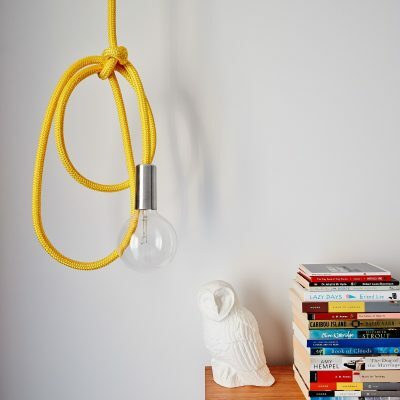 Before you make your purchase, you should contact your electrician to chat about the space and ensure there are no structural limitations to installing a pendant light. We are certainly happy when clients call for advice and while we sometimes need to inspect the space in person, often we can give advice over the phone. Once you have chosen your pendant light, and checked that the location is a-ok, you can call in your electrician to install the light. Make sure you know the hanging height you prefer, and any other stylistic choices to the way your light will hang. If you’re not sure, your electrician should have some ideas. Wattage, shape and “light appearance” can all have a significant impact of the look and functionality of your pendant light. Certain bulbs offer a warmer glow which is better suited to living spaces. Your electrician should be able to select the best globe to suit both the style of your light fixture and the requirements of your space. If you want to be able to dim your light, your electrician will need to choose a bulb that is suited to dimming. We use LED light globes that offer both warm light (similar to a halogen) AND can be put on a dimmer. Here are a couple of examples of installs done by our electricians. LED Strip Lighting adds functional light to previously dark impractical spaces. Strip lights can be linked to a trigger so that they only turn on when a cupboard door or drawer is opened. 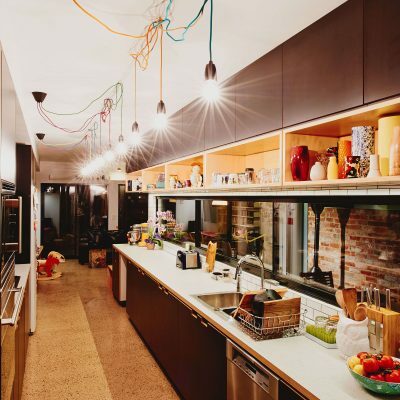 kitchen – under breakfast bars, under shelves in kitchen pantries, underneath wall mounted cupboards to illuminate bench tops, in dark poky cupboards. Wardrobe drawers, shelves and cupboards. Garage cupboard shelves and drawers. Because strip lights are recessed and kept out of direct visibility, they create an indirect wash of light that illuminates a wide area without being too bright to the eyes. You will seriously question how you survived for so long without them! You can add ‘wow’ factor to your home by adding some automated lighting to attract people with a penchant for cool technology.